SPACEPORT AMERICA, N.M., Jan. 11, 2016 (NMSA PR) — Spaceport America, the world’s first purpose-built, commercial spaceport, announced today the launch of its new venue and event brand Gateway to Space™. With the tagline – Earth’s ultimate space venue – Spaceport America’s new venue and event team are leveraging the unique one-of-a-kind destination the world’s first purpose-built, commercial spaceport has become. The offer to location scouts and experiential and event marketers is a palette of possibilities for product launches, corporate retreats, press events, commercial photo shoots, film production, film screenings, racing events, sporting events, aviation events, drone races, art events, dream weddings, educational events and conferences. Nestled alongside the national historic trail, El Camino Real de Tierra Adentro, the futuristic spaceport is barely visible when approached by road vehicle or by foot. When approached by air, the awe-inspiring feat of what it must have taken to create a spaceport designed to send people and payloads to space from the remote high desert and rugged landscape below is clear. As one of the only places on Earth where 6,000 square miles of airspace is permanently protected from the ground to infinity, combined with award-winning futuristic architecture along a two mile horizontal space launch area, Spaceport America exudes outer space and all that lies yet undiscovered. From the cowboys and pioneers of the past to the astronauts and pioneers of the future, Spaceport America inspires and sparks the imagination about what can be done when we as humans have the courage and vision to reach our maximum potential. Spaceport America’s Gateway to Space experiential marketing, event management and operations teams can assist customers in designing their experience if desired or play a support role as required. By partnering with expert vendors across multiple disciplines, Spaceport America’s Gateway to Space experiential marketing, event management and operations teams offer everything from pop-up restaurants to stylish outdoor lounge areas, viewing towers, event tents, film screens, catering, entertainment, media management, ground and air transportation and more to help make your event as smooth and memorable as possible. To learn more about Spaceport America’s Gateway to Space venue and event brand please view the Gateway to Space video on YouTube and visit http://www.gatewaytospace.com. To connect with a crewmember, email events@gatewaytospace.com or call +1.575.267.8500. Spaceport America is the first purpose-built commercial spaceport in the world. 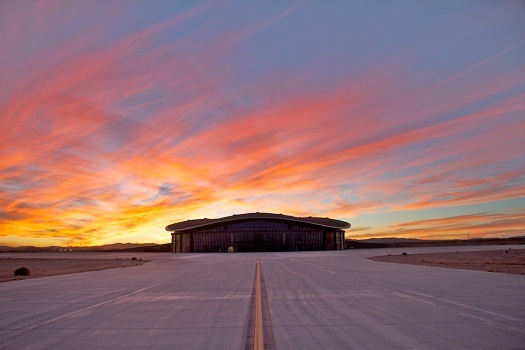 The FAA-licensed launch complex, situated on 18,000 acres adjacent to the U.S. Army White Sands Missile Range in southern New Mexico, boasts 6,000 square miles of restricted airspace, low population density, a 12,000-foot spaceway, and 340+ days of sunshine and low humidity. Two of the most respected companies in the commercial space industry are now tenants at Spaceport America; Virgin Galactic and SpaceX. Well, of course. Its a press release. It’s true, the facility and location are gorgeous and unique. And they need some way to bring in money while they wait for VG to start operating there, so good for them.